A Vegas Girl at Heart: Foil all the things! I resisted the foiling trend for a little while but a few weeks ago I saw a video that Jennifer McGuire did showing foiling without a laminator, and I had to try it. I also saw a fantastic video by Tim Holtz showing how to foil using the Ranger Sticky Embossing Powder, which I already had, so I grabbed some of the Heidi Swapp Minc foils from Hobby Lobby and gave it a shot. This card uses the teal and hot pink, which you can grab here on Amazon if your local store doesn't carry it. I used a retired Stampin' Up! 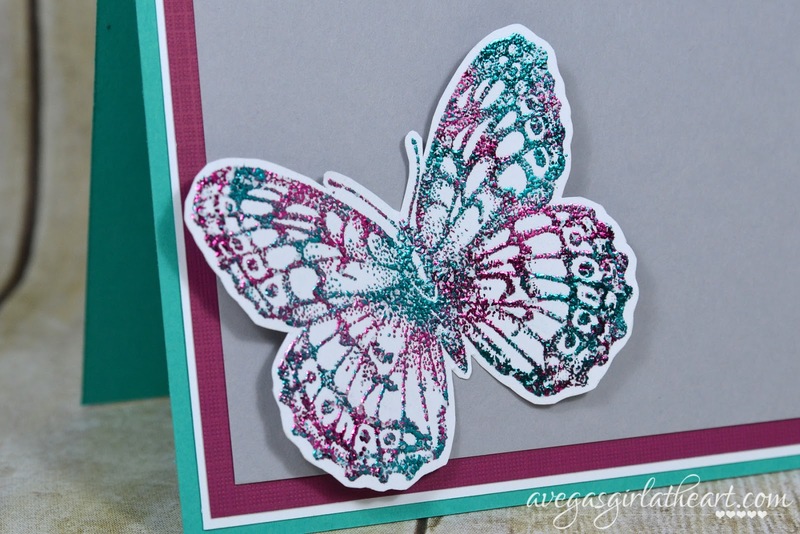 butterfly stamp for this. I LOVE how you can just keep adding color with the sticky powder, so I could use two different colors of foil for it. You just press down one color, but then you can go in and fill in areas with another. You can't do that with a laminator. I am in love! I did also try using a die cut word with the Stick-It adhesive, and it came out pretty terrible. That stuff is hard to work with. Since making this card I did purchase the laminator that Jennifer recommends in her post, so go check out that post for a link. It was less than $19 on Amazon. 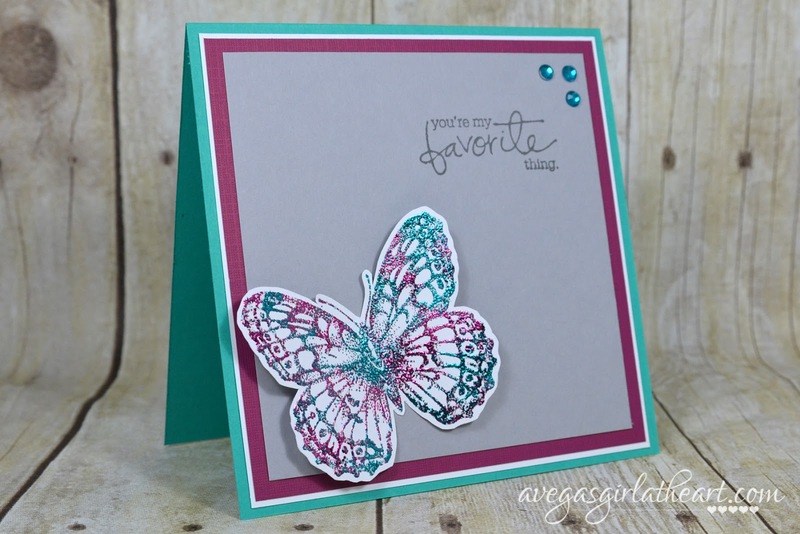 I'm eager to try using the laminator and embossing powder, as shown in this video Jennifer did.